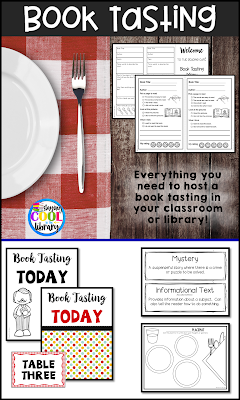 Host a Book Tasting in Your Classroom or Library! 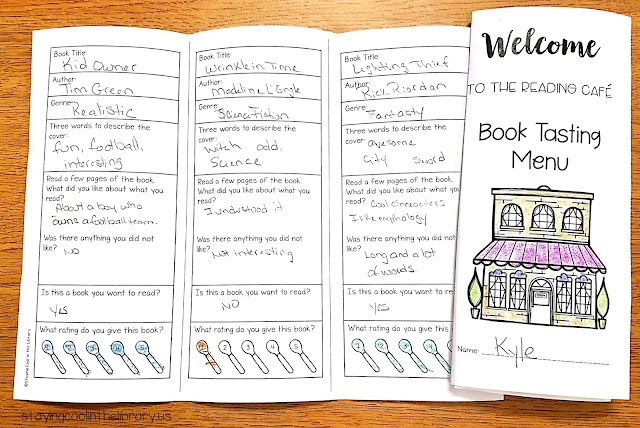 What is a book tasting? A book tasting is one of the best reading motivation activities I have ever come across. If you've never done one before then start planning one now! You won't regret it. Why are book tastings so wonderful? 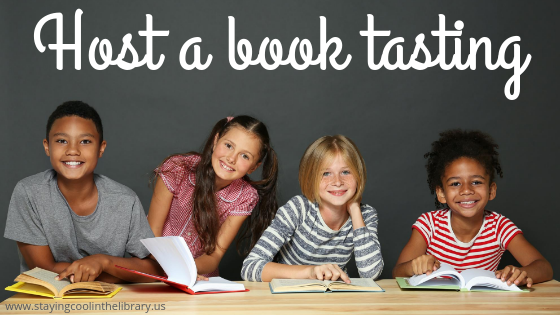 You can do a book tasting with all grade levels from early elementary to high school. Students are introduced to books that they would never look at on their own. It is a way to expose students to different genres. It is a way to showcase the books that no one checks out but that you know are awesome. And the best reason of all??? 5. Students are excited about READING!!! As librarians and teachers, one of the best feelings in the world is seeing a reluctant reader find that book that really grabs them. The one book that will begin to show them just how much fun reading can be. Hopefully this will lead to them being lifelong readers. 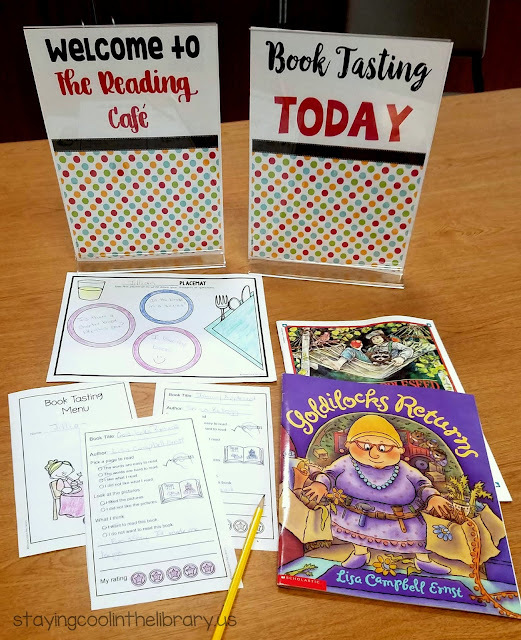 You can use a book tasting to do more than just encourage a love of reading with your students. Have students do a book tasting with books from one genre. As they look through the books have them guess what genre the books are from. You could do this with several genres. Put a stack of books out from several different genres. As the students rotate through the tables they can guess what genre the books are from. There is a spot on the book tasting menu for this. 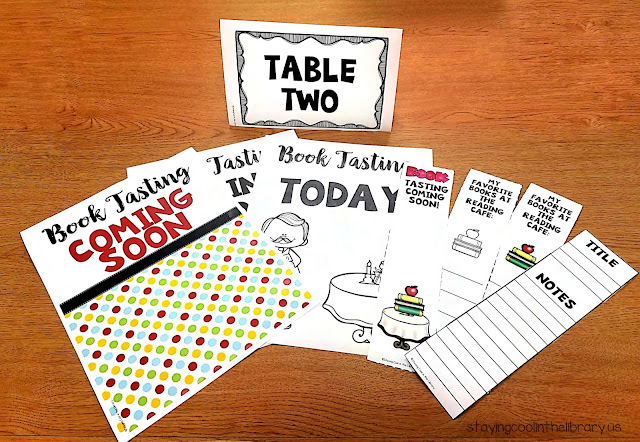 Hold a book tasting so students can decide what books they will read during these types of activities. Book tastings can be used for nonficiton books as well. After teaching students about the Dewey Decimal System you can have a book tasting to review what they have learned. Since most of the Dewey categories are so broad you could have a book tasting with just one category at a time. For example the 600's category. On each table put books from 610-619 (medicine), 620-229 (engineering), 630-639 (agriculture) and 690-699 (construction and building). This way students can see the different types of books that are in each category as well as find a book to read that they might otherwise have skipped over. 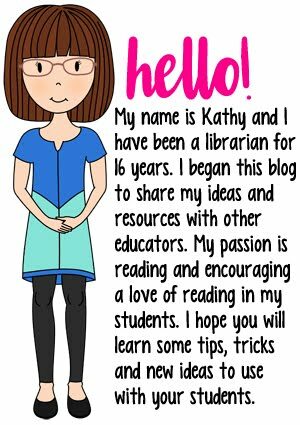 Introduce students to new books that you have in your classroom or library. There are so many books on the shelves that never get read. They may have an unattractive cover or look old. One way to get these books in the hands of students is to include them in a book tasting. Book tastings are fairly easy to set up. You can choose to keep it simple or go all out. 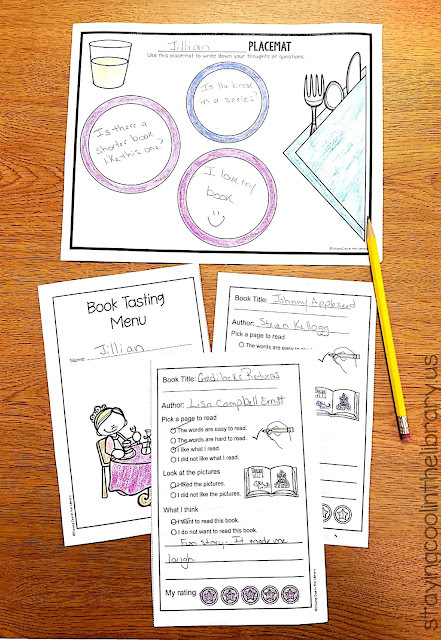 My book tasting activity pack has everything you need to get started (minus the books of course). It comes with a variety of posters, bookmarks, and placemats for students to record their thoughts, table signs, place card signs, book tasting menus for both primary and older students and a set of genre posters. Read below to see the basics of doing one with your students. 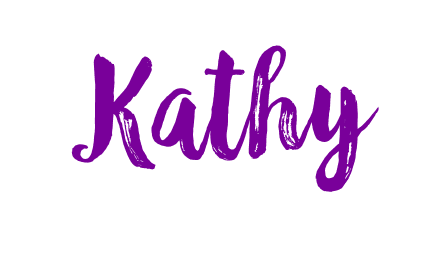 Decide what books you want to include (genres, new books etc.) Pull those books and have them ready. Put a stack of books on each table. The number of books depends on the age of your students, the number of students that will be at each table and what books you are focusing on. Print and copy all the materials you plan on using. Decide which posters you want to use, where to display them, print and copy the menus and bookmarks. For the younger students, you may want to have the booklet pages pre-cut for them ahead of time. When the students arrive tell them that they will be dining at The Reading Café. Assign a group of students to each table and pass out their menus. Then explain the process to them. Each student will pick up the book on their place mat and begin to “taste” it. They will look through the book, read a couple pages and fill in their menu. Remind students that the goal is not to read the entire book but to get an understanding of what the book is about. They will have to rate the book when they are finished. This helps add a level of accountability. Students can use their placemats to jot down their thoughts as they go. Students will then rotate to the next table and repeat the process. Students can use their bookmarks to write down the titles of the books that they really want to read. If there's time, have students reflect on the activity. If you are using library books, you can allow students to check out one of the books they really liked. This means you will have to pick new books for the next class. And that's it! If you want to spice it up a little bit you can put tablecloths on the tables, add flowers or candles (fake of course). You can dress up as a chef, waiter or a maitre d. You can even have music and play a fireplace video on your SmartBoard. The possibilities are endless! And the more you have fun with it the more the kids will enjoy it. Once you have hosted a book tasting let me know how it went! I would love to hear all your success stories.